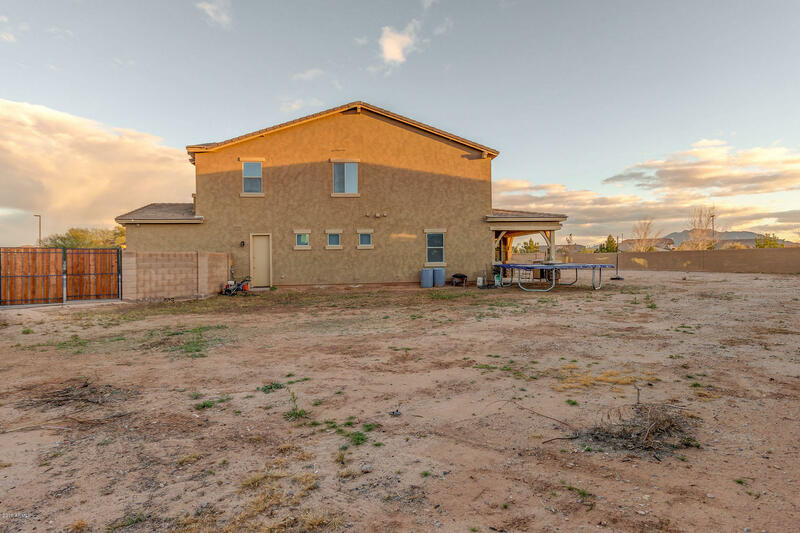 All BRIDGES NORTH homes currently listed for sale in Gilbert as of 04/22/2019 are shown below. You can change the search criteria at any time by pressing the 'Change Search' button below. "Spectacular home in the highly desirable new community of the Bridges at Gilbert (Bridges North). Situated on the largest lot in the community (just under a half acre); this beautiful home includes: 6 bedrooms; 4 bathrooms; a custom office/library (with 5.1 surround sound); a theatre with an HD projector, 7.2 surround sound, custom leather stadium seating and a 150'' screen; an open concept kitchen/family room (wired for 5.1 surround sound); mudroom; dedicated laundry room; large loft; and massi"
"Wow!!! 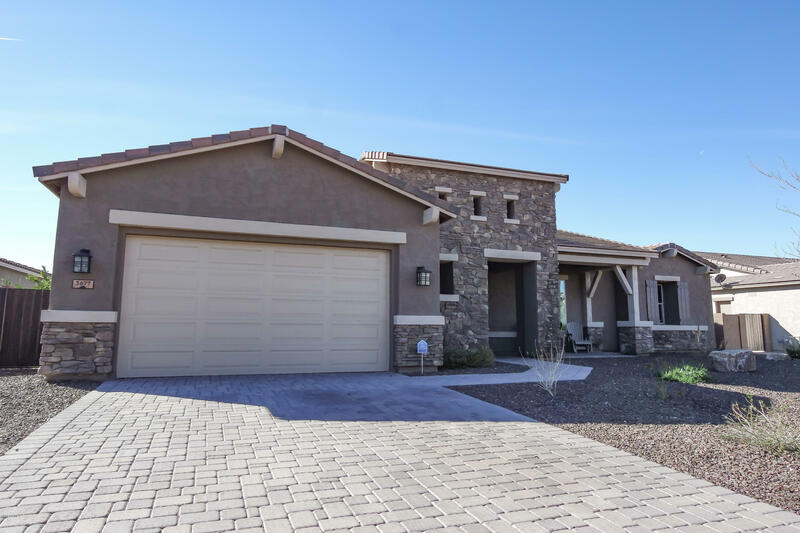 This single level 5 bedroom, 2.5 bathroom, 3 Car Garage open concept split floor-plan home in Bridges North in Gilbert is an absolute must see! Home offers a spacious & airy family/great room with soaring 12' ceilings with gorgeous wood flooring that flows throughout the heart of the home and right into the kitchen. Kitchen features all stainless steel appliances that includes a 5-burner gas range, dishwasher, double convection ovens, built-in microwave, a large W/I pantry, River White gr"
"Welcome to a model condition single level home in the prestigious Bridges North Community, a PRIME location! This home is a must see with too many options to list including 3 car tandem garage w/upgraded 2' extension! Walk in through your new iron glass door to a spacious open floor plan home with 10' ceilings, attractive wood laminate flooring. Wide open kitchen with upgraded staggered cabinets for plenty of storage, quartz countertops, a large island & walk in pantry. 4 generous size bedrooms"
"Don't miss the video on the photos tab! 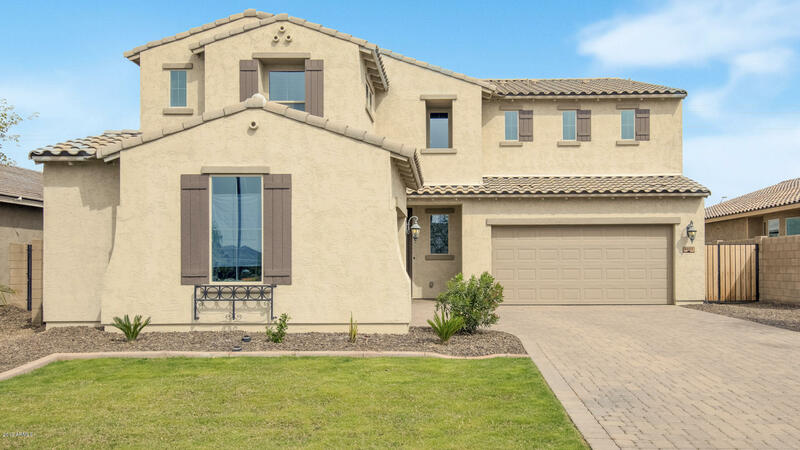 Welcome to the Bridges North neighborhood of Gilbert, Arizona! 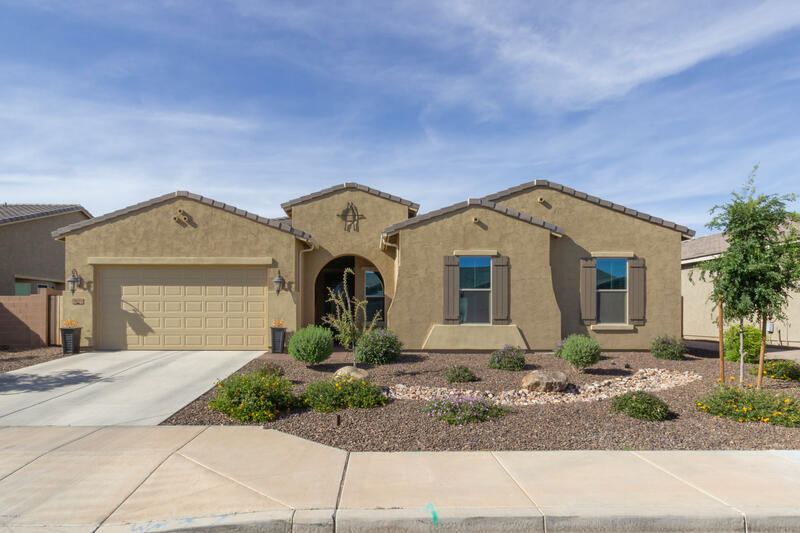 This nearly new Meritage Homes two-story sits on a premium cul-de-sac lot with no neighbors behind you and recently installed landscaping in the backyard with new grass, sprinkler system, and desert plants and trees. With 3,690sf of interior living space this home offers a downstairs guest bedroom and bath perfect for home office or in-law suite, formal dining spaces and a gourmet kitchen with "